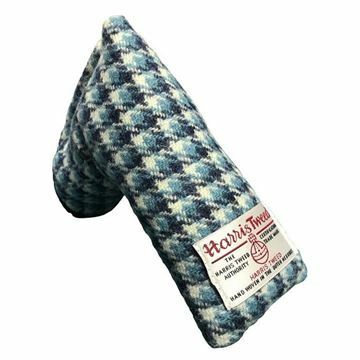 Classis Harris Tweed design putter cover. Charcoal and deep blue overcheck and an embroidered SRC logo. 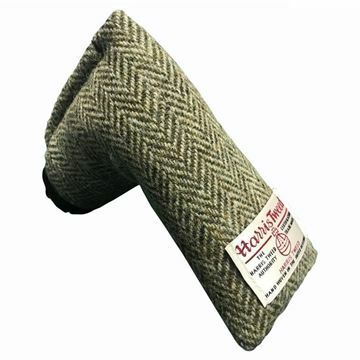 Traditional Harris Tweed design putter cover. 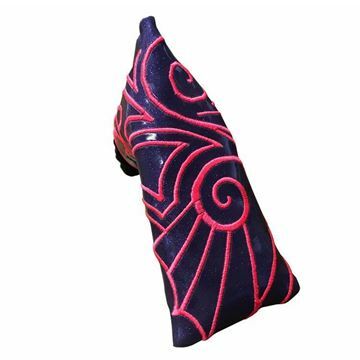 A beautiful putter cover with tones of pink, purple, blues and oranges plus an embroidered SRC logo. 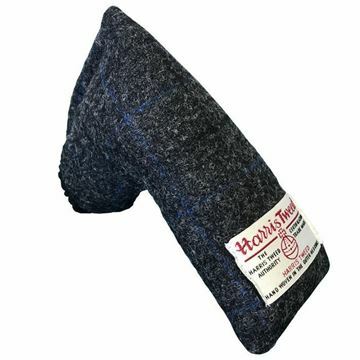 Harris Tweed family design in blue, white, navy and with an embroidered SRC logo. 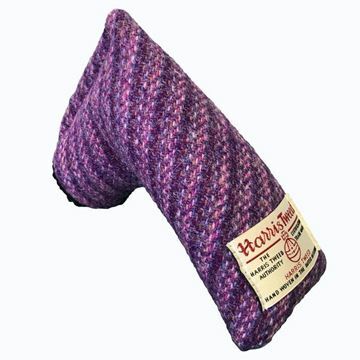 Lovely looking traditional Harris Tweed putter cover. Brown and green in various shapes beautifully woven through the fabric. 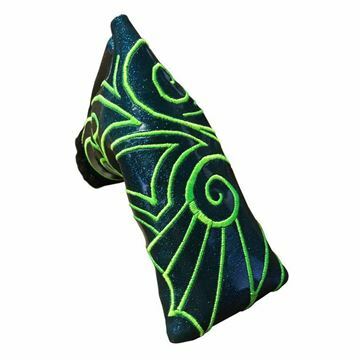 Outstanding putter cover wth a custom made look, Scott Readman Concept putter covers are some of the best we have seen and will make your beloved putter very happy. Funky purple and pink embroidered design on a vinyl putter. 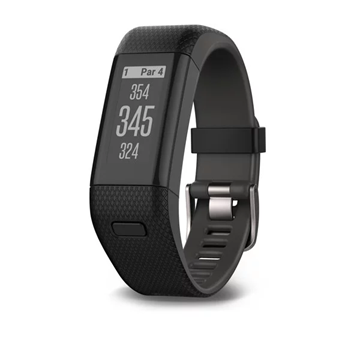 Modern look and very well made. 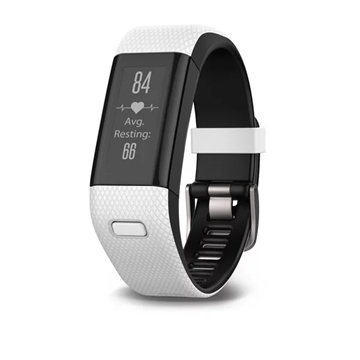 Vinyl material and quality well made design from Scott Readman Concepts. 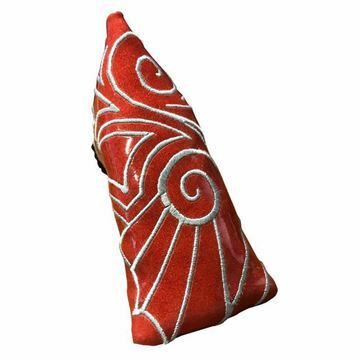 Elements are funky, modern design putter covers.  Scott Readman Concepts, quality custom made putter covers that stand out from the crowd. Vinyl material with funky embroidered design. 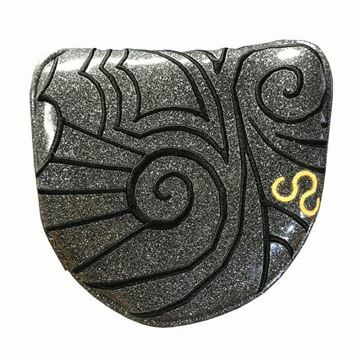 Metal flake embroidery on vinyl design putter from Scott Readman Concepts. 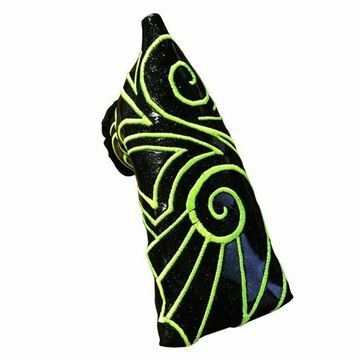 intricate, detailed decoration give this putter cover a unique look.